1. Pick a wall in your home! 2. 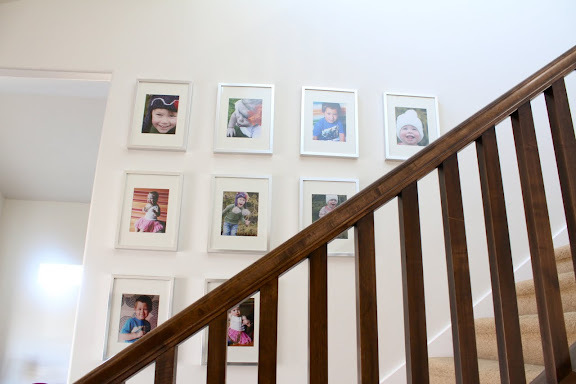 Pick your images and frames! 3. 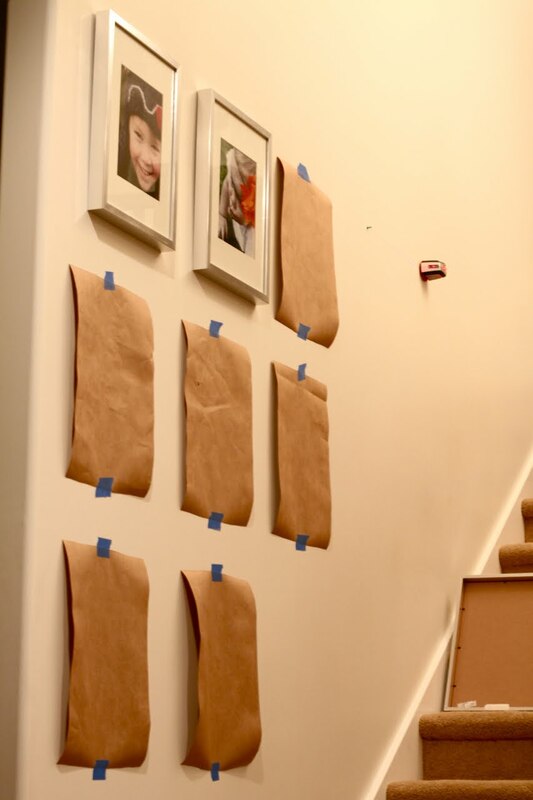 Cut butcher paper or scrap wrapping paper to the size of your frames and tape them up! I promise it will work wonders for the vision of your collage. Heck, I may even get a little crazy I try a fun one using different sized frames in the near future! 5. Also wall collages don't always have to consist of only pictures! Throw a cute little painting or two in or some fun decorative plates!!! The decorative plates idea comes from the better half of this blog, my sisser Bri! She has the cutest decorative plate collage hanging in her home! I wish I had a picture to show you! Maybe she can post a pic just to give you an idea of the creative fun you can have! No pressure Bri!!! Seen it in person and LOVE it! Kara, you crack me up! Isn't it amazing what stinkers we can be to the best, most important people sometimes. I always hate looking back or catching myself in a less than gracious moments & thinking as my friend's mom used to say, "You're being LESS beautiful." Life is nothing is not a constant learning lesson. And you got a great wall collage out of it too. ;) Love ya! Oh Kara, I feel your pain. I've been in my house a year and two months, and I just barely put the first hole in the wall. And it was just a teeny shelf. I've been eyeing a giant empty wall in my entry way for a few giant frames, but I'm just so dang wussy. Also, I'm making the frames out of barn wood, so there's another thing I have to stop being lazy about. Oh, and I also have to pop out a couple of kids whose little mugs I can put in the frames. Wow, I've got a lot of work to do. But thanks for the inspiration - your wall looks great! I especially love the little steps, or whatever; I've never seen it done quite like that, and I love it. Looks great! 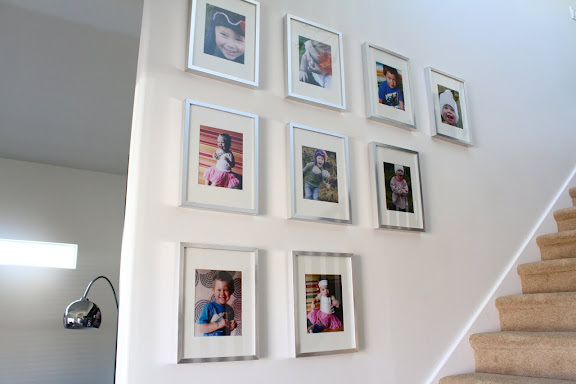 Love those IKEA frames! Holy Cow!! Amazing. Great job Kimble. I love the frames. And could those kids be any cuter? No. I love it Kara! I love the crispness of your collage - I wanna see it in person.